Make Music Day is an annual celebration that occurs each June 21, when people in more than 750 cities around the world make music together on the summer solstice. In 1982, Jack Lang and the staff of France’s Ministry of Culture created a new kind of musical holiday they called Fête de la Musique, which means both “festival of music” and “make music!” They imagined a day where free, live music would be everywhere: street corners, parks, rooftops, gardens, storefronts, and mountaintops. Everyone was invited to join and play music, or to host performances, wherever they were. The Fête has turned into a national music-making holiday in France every June 21, on the summer solstice. According to surveys, almost 8% of the country—5 million people—have played an instrument or sung in public for the Fête de la Musique. Today, Make Music Day has become an international phenomenon, with millions of musicians of all styles, all ages, and all skill levels reimagining their cities as stages, and using music to spread joy to their communities. And Make Music Day is spreading quickly in the United States. I had the great pleasure of attending this month’s meeting of the Broadcast Pioneers of Philadelphia. It was recommended to me by T. Morgan after I read and reviewed his book in November 2015. The meeting was opened to the public and was held at the lovely Bala Golf Club in Bala Cynwyd, PA. There was a small cost of $28 for non-members to cover the cost of the luncheon. The topic of this month’s luncheon was The British Music Invasion! Prior to the panel discussion, I had the good fortune of sitting down to lunch at table with Tommy McCarthy and Michael Tearson. Tommy is the program director for Oldies 98 (WOGL) in Philadelphia and Michael Tearson is a well-known long-time on-air personality in Philadelphia. Just sitting and listening to these gentlemen talk was amazing. And when they both joined the panel discussion, their knowledge of music and the industry was beyond compare. In fact, the entire panel was something to behold. 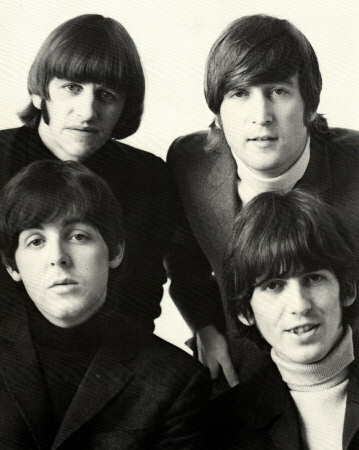 Just when you thought you knew all the Beatles experts…along comes the Broadcast Pioneers! I would highly recommend that anyone in the Philly area that is interested in the history of music, whether it’s pop, rock or oldies, sign up for the Broadcast Pioneers mailing list and try to make it out to one of their luncheons. It’s well worth your time and cost to get in. I give this event, 4 out of 4 Beetles!